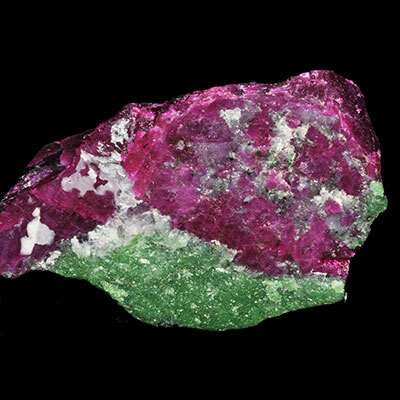 Ruby in Zoisite is a member of the Sorosilicate and Corundum family. 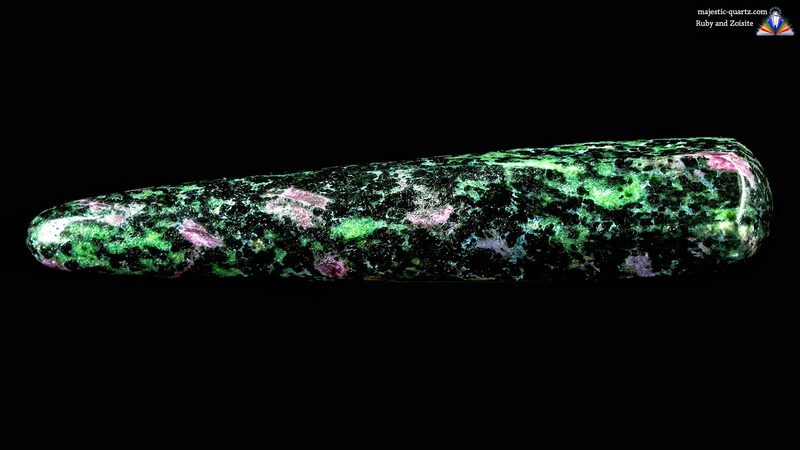 It comes in both massive and crystalline form, with color ranging from green to red. Read more about Ruby in Zoisite healing properties information with photos below. 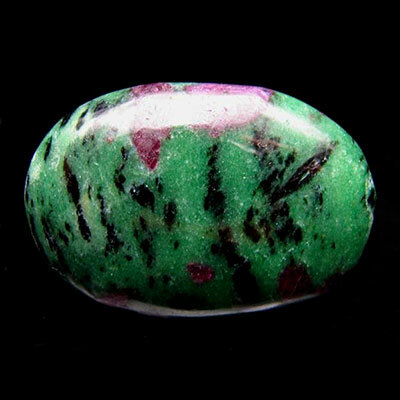 Ruby in Zoisite (Anyolite) instills joy, laughter, courage and a deeper appreciation of life. It stimulates and connects the crown and heart chakras, bringing about increased vitality, energy and conscious focus to what is really important in life. This stone amplifies and enhances ones entire energetic system, as well as increasing psychic abilities – and ones sense of empowerment. It increases sexual activity, treating impotency and frigidity. 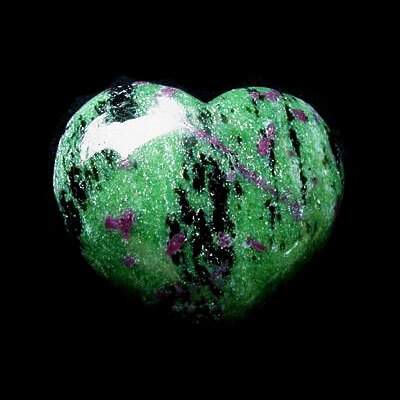 Physically, Ruby in Zoisite is beneficial for heart disorders, and physical vitality. It Improves circulation and quality of the blood. This stone assists in the recovery from disorders associated with diminished physical activity. 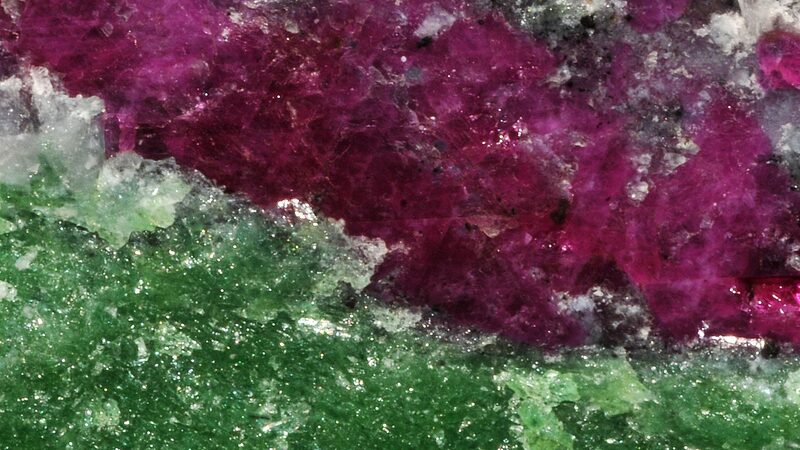 Click the Ruby in Zoisite Crystal below for a high resolution photo! Do you have a personal experience, question or information pertaining to the crystal healing properties and meaning of Ruby in Zoisite? Please feel free to use the comments form below to share your knowledge with the Crystal Information encyclopedia. Please note, we moderate this feature to keep the site free from unwanted spam. Hello, thanks for the great information. I have recently purchased a rather large sized chunk of ruby in zoisite. I am interested in awakening my psychic abilities as well as general vitality and I was very happily surprised to find that I had gotten the perfect crystal for myself. However, do I need to carry the chunk with me at all times in order to get the benefits? Would I have been better off getting a smaller polished piece? II would also love to know how to specifically use it in meditation to increase both psychic abilities and general vitality. Lastly, does the amount of ruby in the crystal affect its properties? Mine is mostly green but with good sized specks of red. Hi Minoo, thank You for your contribution. One does not necessarily have to have a crystal or stone on their person to connect with it. By just visualizing it, you can tune into it, where ever it may be. visualizing, or remembering how it feels, is like tuning into it’s radio station – the connection is made and you can work together through that wifi connection! A good place to start in meditating with it is to simply sit with it and empty your mind and see what comes. You can image breathing in the green color into your heart, and do the same with the red ruby color as well for both your heart and root chakra. 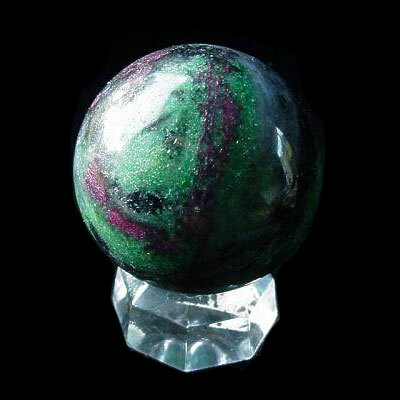 This will activate those centers and you will find interaction with the Ruby Zoisite will really take off. Be open to doing whatever activities or methods come to you. The different amounts of material within any piece will always influence the experience you will have, just keep in mind it will be a perfect experience since the two of you are together in that moment. The main thing is you are willing and eager to awaken and expand your psychic abilities, so you are already well on your way to achieving your goals in that area with that stone!